I would like to introduce you to an organization called REBSEA that helps raise money for nonprofit organizations like ours. They have created an innovative way for the business community to help the nonprofit sector with a very simple yet powerful concept. Their members are Realtors, lenders, and insurance agents who have donated millions of dollars to nonprofits in their communities when the supporters of nonprofit organizations choose to do business with them. They are experienced and successful professionals who believe in GIVING BACK to the communities they serve. 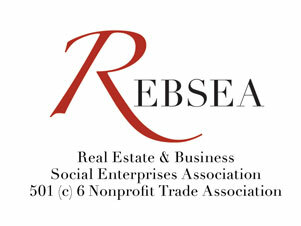 REBSEA, the real Estate & Business Social Enterprises Association is a 501 (c) 6 nonprofit trade association. We are fortunate to have a Realtor member of REBSEA in our community who donates a part of each of his/her commissions to a nonprofit in our community. One of the organizations she supports is _________. Whenever you, or anybody you know, is buying or selling a home and chooses to do business with him/her you know that after a closing there will be a donation made. His/her name is _____________and he/she can be reached at________________. Please visit his/her website_________for further information about his/her professional services. By informing you of this service offered by REBSEA we have become a Nonprofit Member of REBSEA and will be working with REBSEA going forward to help raise needed funds for our mission.